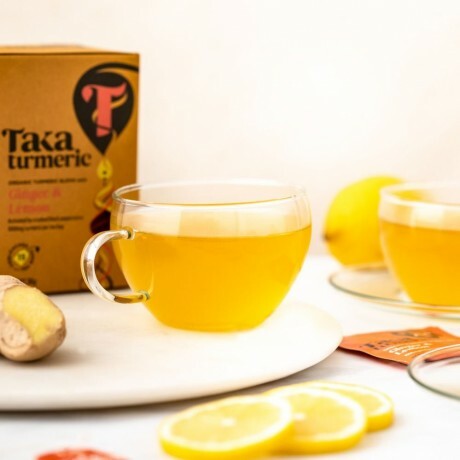 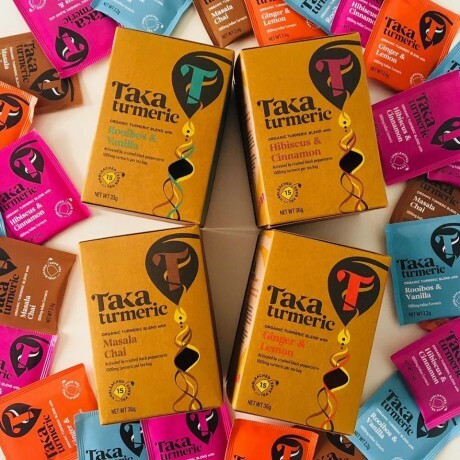 Choose your own selection of Taka Turmeric's unique turmeric teas. Each tea bag is packed with generous amounts of organic turmeric, making it easy to enjoy a dose of healthy sunshine, everyday. 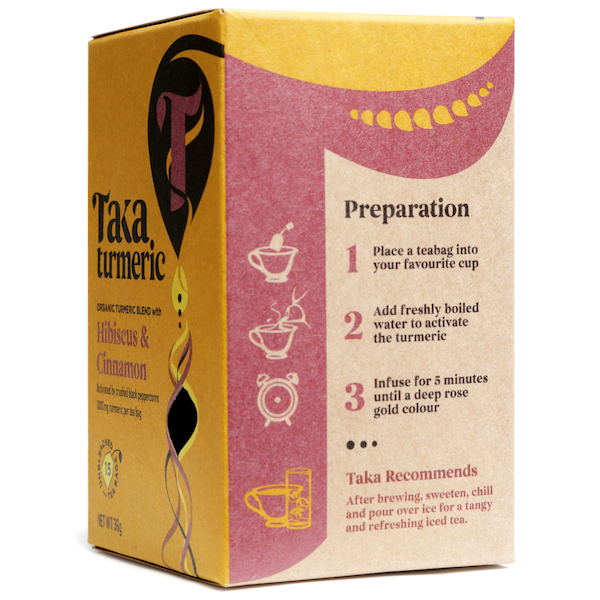 Turmeric contains curcumin which is thought to be associated with various health benefits. 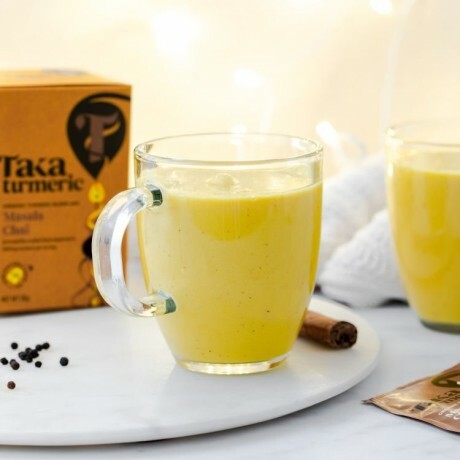 There's 1000mg Indian turmeric in each tea bag, plus crushed black peppercorns and grated coconut to help activate and increase curcumin absorption. 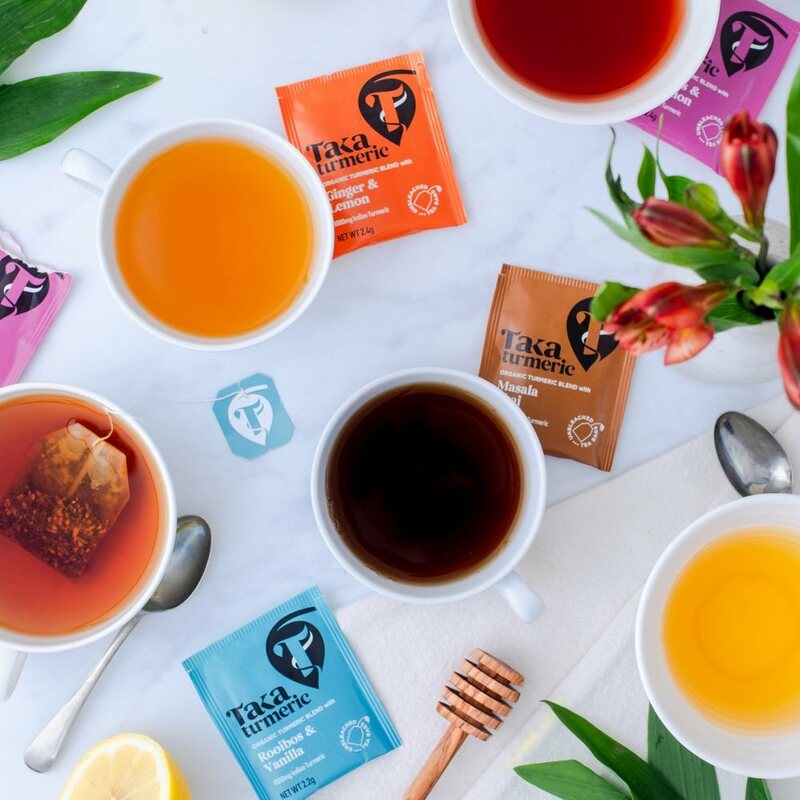 4 packs of tea, each pack contains 15 tea bags. 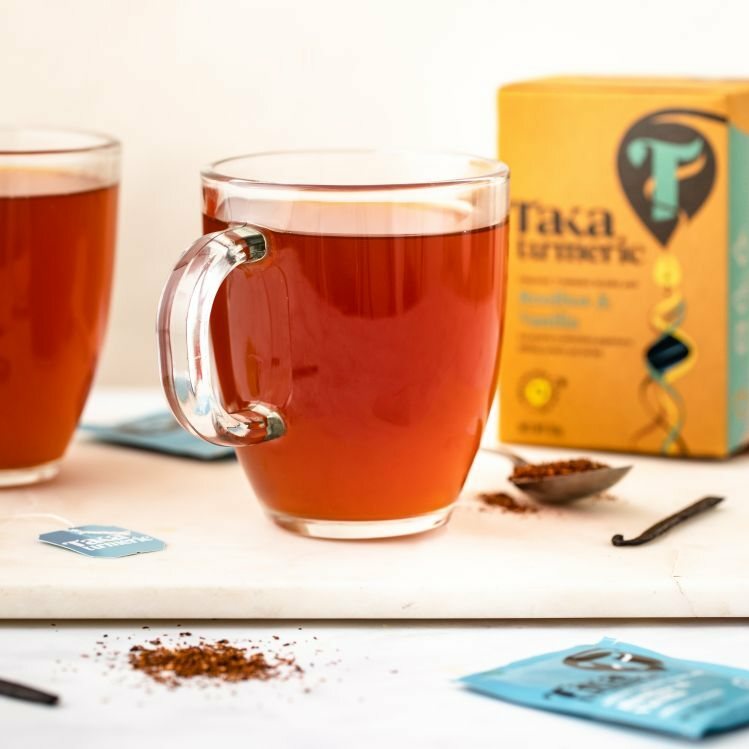 How to use: Simply add hot water, and if you wish sweeten to taste.